In 2011, the Mazza family lost their 4 year old son, Wade, to a rare brain disorder. 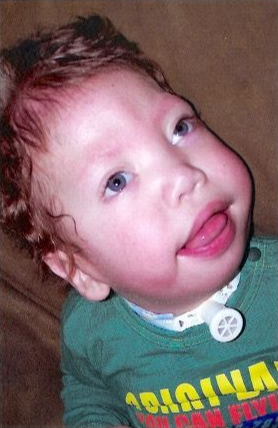 Wade was born with Agenesis of the Corpus Callosum (ACC), which is an absence of the connection between the left and right side of his brain. This included other medical problems, such as an inability to talk, walk, or do everyday activities for himself. Wade was kept active with the help of his family and loved the outdoors. The problem, however, was that he couldn't always join his parents and sisters in the fun. With having two other children, the family enjoyed visiting parks. However, many times, Wade had to sit in his wheelchair to watch his two sisters swing and play because he wasn't able to join them. This was a result of the playgrounds not being handicap accessible. Wade's parents, Jason and Laura Mazza, are pushing for an all accessible and inclusive playground in memory of Wade. The playground will be called Wade's World of Wonder Playground and will include playground equipment that is easily accessible for all ages and abilities. The family is working with Kanics Inclusive Design Services LLC and the Kingwood Pool Committee to bring the playground to life. The plans include a zip line, ground swings, and a merry-go-round. They are also associated with the Preston County Parks and Recreation Commission.